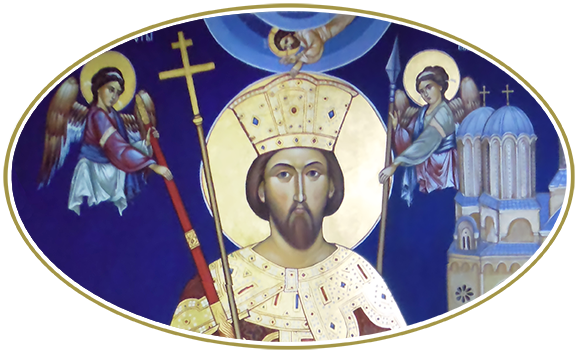 The foundation of Despot Stefan Lazarević, Serbian ruler, knight of the Order of Dragon, educator and patron of arts and culture. … looking for a place to build the desired family, an abode for silence. Having found the most suitable and the best place to build the home, he said a prayer, set about his work and laid the foundations in the name of the Holy Trinity, universal Divinity. 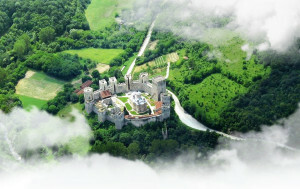 In the vicinity of Despotovac, on the plateau vertically descending towards the small Resava river is the Manasija monastery. In the medieval sources it is called Resava. The name Manasija became popular only in recent times. 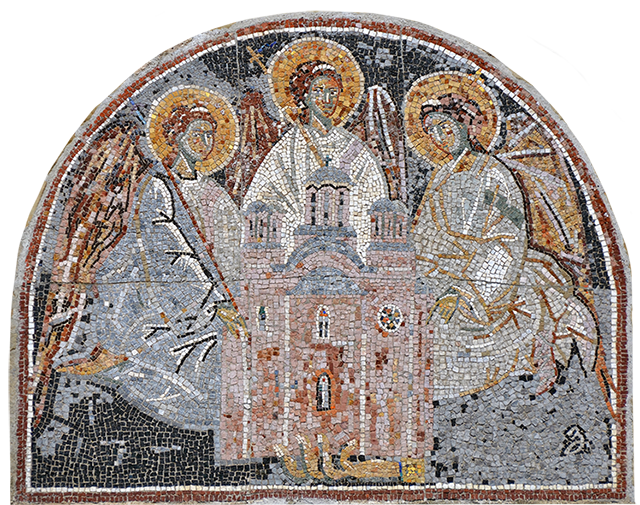 By its spiritual and symbolic importance and the position of the monastic settlement, the church dedicated to the Holy Trinity represents its central structure. It belongs to the group of Moravian monuments of a developed type. 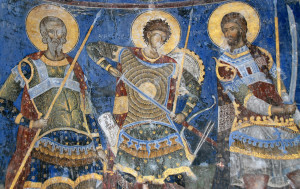 The Manasija frescoes, although very damaged, are among the greatest achievements of medieval painting. Only one third is preserved today: in the altar, in lower areas of the choirs and the west side of the naos, in domes. In 2005, the first systematic archaeological research began. 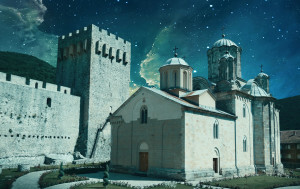 One of the main goals was defining the grave next to the south wall of the west bay of the church as, according to funeral habits in medieval Serbia, it was without exception designated for the founder. The cleaning of preserved fresco paintings of the Resava monastery church began in the early 1960-ies. The tall iconostasis from 1864 was dismantled recently and, after research was completed, It was replaced by a stone iconostasis, like those in the 15th century.